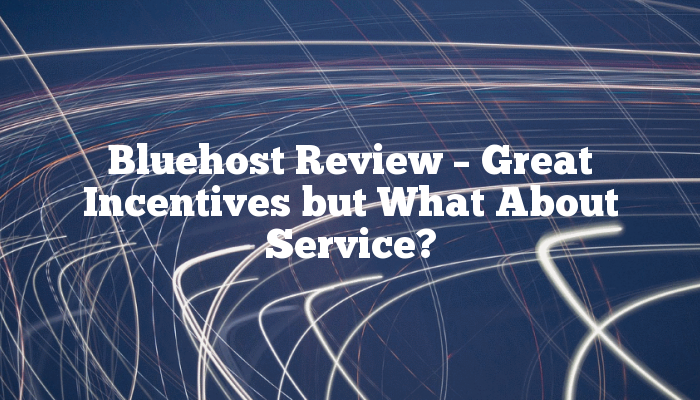 Bluehost Review – Great Incentives but What About Service? When looking for a host online for your personal, small business or large business, make sure to research. There are many providers out there that offer slightly different or cheaper incentives than the first. It is important to understand the differences in each provider. That way you will not get caught in the loop. Bluehost offers personal and small business sites for a relatively average price. The benefit of working with them is that they provide simple instructions for the beginner on how to design a website. They offer templates and demo videos that show how other customers have made their pages. You do not need to have any experience producing web pages when utilizing a simple control panel. They can guide you with demos and a customer service team that are available almost always. It’s also one of the best-reviewed web hosts. In case you are afraid to forget something, Bluehost provides you with a step by step checklist. These are perfect for those of us who are “list” oriented. Also, sometimes a customer may not find the template that fits their business or lifestyle. Bluehost strives to provide their clients with outside graphic artists and computer consultants who will work with you and Bluehost to produce content. Bluehost offers ideas on how to gain more traffic to your site. They advise connecting your site to your social network. Social networking has become more and more lucrative when applied and linked to your personal or business site. The statistics support that most companies should consider linking the site and social networks together. Bluehost will guide you through it and even show you where to place embedded links to get your site thoroughly connected. Bluehost also boasts that they are rarely down. This means that their sites will be running the majority of the time unless something out of the ordinary happens. All Bluehost sites run on Unix systems, which provides reliability and safety. All of the accounts on the system are encrypted and password protected. Safety and your business are a number one priority with Bluehost. This being said, make sure to consider your password. It should never be part of your name or your address. Also never use the same password; this increases the chances of your accounts becoming tampered. It is too easy to allow someone to hack into the system and steal everything. Bluehost keeps it simple and allows you the option to protect your passwords. Bluehost also provides their customers with a monthly report. This report tracks how long a visitor was on the site, where the majority of people clicked and where they were referred from. These reports are charted and can be sent to the client monthly or daily. What better way to understand how best to market your business, then beginning to understand where the people are coming from? Once you know where potential customers are looking on the site, you will start to figure out how to improve your layout. Is it too wordy? Or are there too many scattered pictures? Perhaps there are not enough pictures? Whatever the reason, make sure to evaluate these free reports monthly or daily. They can be a lifesaver when it comes to marketing. Bluehost will announce your new site with an email. They call this the grand opening blast, which means that it will go out to new and old contacts. This ensures that you do not have to do all the dirty work yourself. It can be very tedious emailing and trying to conduct business. The ease with which Bluehost assists their customers in getting the word out is great. The website will also be subject to a report in which you can view which search engine refers you the most. When you join Bluehost, you have the option of exploring various features. For instance, there are tutorials that will help you improve your chances of getting the domain name that you want. They have an option for online marketing and E-commerce. If you are using Bluehost for personal reasons, then most of the information regarding E-commerce will not apply. However, the fact that Bluehost has customer care available at most hours of the day. Web hosting with Bluehost ranges in price from $7.46 per month to 12.95 per month. These prices are averaged and not going to stay the same. The prices for the hosting market fluctuate like most things in the economy. When getting started with any host make sure to understand what you are getting into. Bluehost has topics posted for young entrepreneurs and their families. They are also available to help at most hours. They provide templates and ease of access for clients. The prices per month are relatively average. The tutorials are great because they not only explain how to continue to grow your online business, but they are also available to help you create business plans. Who wouldn’t like a low-cost web host which will provide you with a ton of impressive features and excellent customer service? One of the most competitive options you have is iPage hosting. Read any review, and you will be impressed with what you see. Like any web host, however, iPage has its pros and cons. Let’s take a look at each so you can figure out whether this is the right host for your needs. It only costs $1.99 starting out, and you get to lock in that low price for three years. That is for iPage’s most popular tier of service, the Essential Plan. You are not going to find hosting that is much cheaper than that and still, offers the kind of feature-rich experience that iPage does. Fantastic features include unlimited hosting space and domains, free email addresses, and free blogging and e-commerce features. You also get a free script library for coding. Not code-savvy? Not to worry, they also offer a point-and-click site builder. You get $500 in free marketing and security bonuses when you sign up for an account. You get $100 in free advertising credits for AdWords and another $100 in free advertising credits for Bing and Yahoo. Also included is 1GB of free storage from Just Cloud. Finally, you get to protect your site with SiteLock Enhanced Security Software. This is a fantastic choice for e-commerce. The free wizard will help you set up a shop in a matter of minutes using beautiful modern templates. This is one of the best hosts you are going to find for running a store online. If you are a WordPress blogger, you will be able to import your existing blog with the click of a button or set up a brand new one with ease. There is a solution for every need, which offers shared and dedicated hosting accounts, as well as VPS. Customer service is available 24/7. Service is phone-based, and agents operate in the USA. The average wait time to get an agent on the line is only two minutes, which is seriously fast! If you prefer, you can also get help online using live chat, or you can view video tutorials in the knowledgebase. Because iPage is very feature-rich, it may be a bit overwhelming for some novices. There are multiple dashboards, and while this provides for convenience and control, it can also be confusing if you are a first-time website builder. One drawback concerns the fact that you need to pay for at least a year of service at a time. There are three plans: Launch, Essential, and SuperBoost. The Launch and SuperBoost plans can only be purchased in increments of 12, 24, or 36 months. Only the Essential Plan can be purchased one month at a time. If you pay for a month at a time, though, you will be paying a premium. So you have to be willing to commit to trying it (you do get a 30-day free trial though to evaluate the service and make sure you are happy with it). As you can see, iPage has a lot more advantages than disadvantages! 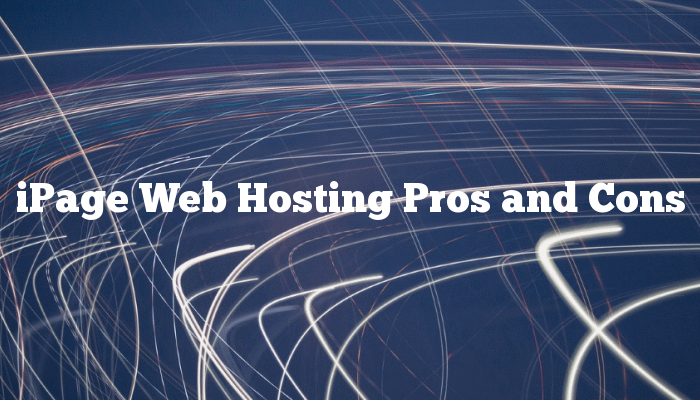 Should you choose them as your web host? That depends on your specific needs. There is no one-size-fits-all hosting solution out there which is right for everyone. For many users, however, especially those who want to get into e-commerce and run their shops online, iPage is an excellent choice. As you are probably familiar with it, we like to write quick notes when we’ve got something. Recently I was asked what do I think about GreenGeeks. If you don’t know GreenGeeks, it’s on of the better green web hosting websites. They provide everything a “normal” website provides and meanwhile keeping a green agenda in mind. Let’s clear some of the basics of web hosting and what GreenGeeks can provide. Domain names are user-friendly as they allow individuals to remember addresses of specific sites quickly. IP is a numerical representation of information linked to the website. GreenGeeks provides users the freedom to merge their domain names with IP address so that the website will have a lot of details which will be out there available to the whole world. Often when talking about reviews like the ones on GreenGeeksReviews.info, it is not a good idea to consider them isolated. So then what you simply should do is gather as many facts as possible and try to understand it. 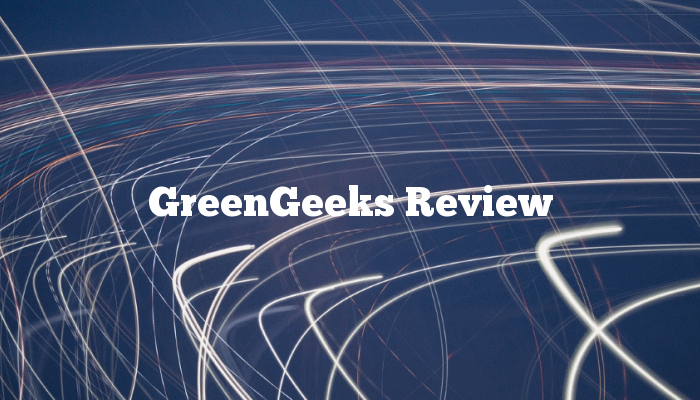 It is not hard to find out more about GreenGeeks, and you can probably save yourself some headaches by doing so. That is precisely why we advise you take a look at all of the top hosting companies. That virtually guarantees to get the most for your efforts. What follows next are a few concerns of mine, that you will you will also find interesting and useful (hopefully). Some sites replace their original addresses with proxy IPs to conceal identity. There are others which have anonymous IP addresses, therefore avoiding unnecessary exposure of information. It’s also worth noting that it’s not easy to find a site owner even if you know the website’s address. GreenGeeks can help you with your renew order for expired domain names. But you will first have to register with a backorder website and then complete the necessary procedures. GreenGeeks provides everything for an expanding website. Certain software enables you to upload additional photos, info, and tools that permit you to communicate new ideas as you like. This service provider provides your website with free security software that can helo keep your site running and your information safe. This is the basics of what you can expect from GreenGeeks. Visit their website or give them a call and find out more. Wishing you great success in your online ventures as always!